My Fog server works with all my windows computer, mac mini, old imac but not new. Possibly a Sierra update came out that also broke it. Or we are looking at a different issue here. So far I have only heard of onboard NICs having that issue but if it’s the exact same chip could also be a problem with the thunderbold adapter. Please read the whole iPXE from above and start by compiling your own debug iPXE binary to test. Im having the exact same issue as well, with the same NIC (14e4 1686). Im using a thunderbolt -> Ethernet. I have only tested with one macbook air so far (El Cap 10.11.5, early 2015 macbook), and I am getting the no DHCP on net0 on bootup. Running an isc-dhcp server and every aspect of it is working fine other than getting the mac to obtain an address (my one windows machine works perfectly, as usual). I am the network administrator for an exclusively mac environment and I have access to all hardware from a 2003 era Xserve (thats still in production) to brand new 2017/2018 iMacs and everything in between. Let me know how/if I can help and id be glad to. For reference I did select an SSID on bootup once and I was able to obtain DHCP from net1 (wifi card), but not only do I not want to image over wifi, I am currently running the fog server and its own DHCP server on an isolated network to rule out any firewalls/weirdness. My setup consists of exactly 3 cables, my secondary NIC on proxmox is configured to be an isolated 172 network, I have that patched directly into an 8 port switch on my desk, and I have a direct run from the firewall going into the same switch, with my mac client being the 3rd cable in the switch. Im pretty confident we can rule out any networking issues, though id be more than happy to run any tests you think could help. @OmegaNull I haven’t had any luck using a usb to ethernet adapter but I have gotten the thunderbolt to ethernet adapter (made by apple) to work. Since this is included in the native drivers for mac OS, it works with iPXE. I am new to Fog here but tell me if I am crazy. Is it possible to use a USB to Ethernet dongle to maybe get around this? This way you are bypassing the NIC all together and booting via USB. Maybe alternatively do the same using a thunderbolt to ethernet dongle as well. What are your thoughts? @Sebastian-Roth thank you for the quick help ! 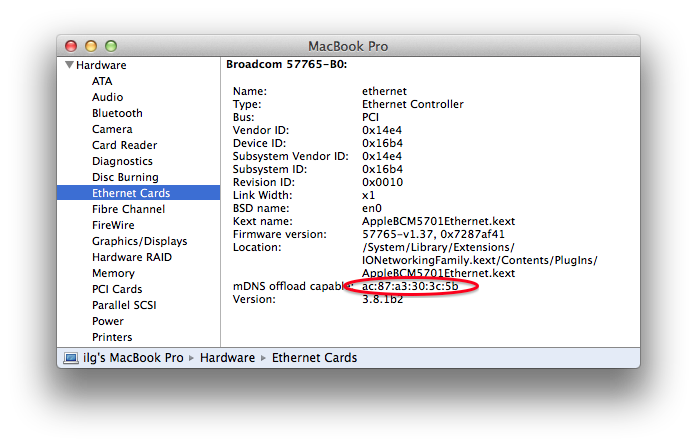 @Prupo Yes, sadly it seems like this is exactly the same network card which we had issues on other Macs as well. So it is very much specific to this NIC. Please read through all the topics, especially the iPXE form thread. I have tested many things, dug through the code but could not fix the issue yet. Right now I don’t have the time to dive into this again. Would you be keen to get involved? @Prupo Probably this one, right? Not one of the Macs I have been playing with but the issue sounds as if your machine has just the very same network card installed which is causing the issue after installing High Sierra (UEFI firmware updated).